The tragedy is that because our community was divided in this way, those who answered negatively have been stigmatized these many years. Their answers, rather than indicating disloyalty, were statements of resistance to an oppressive government. Last year at the January meeting in Pasadena commemorating the first Fred Korematsu Day, I was moved by an impassioned plea by Yukio Kawaratani, a former Tule Lake inmate. He told of the pain he has felt over the years, which came about by bearing the stigma of being in Tule Lake. In one of my early 2012 columns I reported what Yukio said that day. I have become convinced that JACL needs to come to terms with the stance it took in relation to those incarcerated at Tule Lake and make amends for the pain suffered by these fellow JAs. On Saturday, Jan. 26, the second Fred Korematsu Day will be held starting at 9:30 a.m. in Pasadena. Fred’s daughter, Karen, co-founder of the Fred Korematsu Institute of Civil Rights and Education, will speak after showing a DVD about her father. Yukio and I will follow Karen’s presentation. We both feel strongly that the spirit of conscientious resistance shown by Fred Korematsu has a direct application to the Tule Lake inmates. Being a long-time member of the San Fernando Valley Chapter of JACL, I made an announcement about the Jan. 26 event at the quarterly meeting of the Pacific Southwest District Council of the JACL held last Sunday at the JACCC. 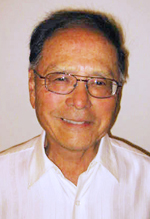 The meeting was chaired by the district governor, a seasoned JACL veteran, Ken Inouye. I was encouraged to see a number of Sanseis there. Time has left me behind — these Sanseis who I remembered as young adults were now graying seniors! Come to think of it, I ain’t that young myself anymore, either. I also discussed with the group the matter of proposing a resolution at the National JACL Convention in July, calling for some sort of reckoning by JACL for its treatment of the Tule Lake inmates. The Sanseis as well as the Niseis seemed quite receptive to this idea and made some helpful suggestions. I thought to myself that the Sanseis, who did not have to live through the war and were brought up with the civil rights movement, were sure to “get it.” The Tule Lakers did not display disloyalty, but rather, righteous dissent. After making my plea at the JACL meeting, I walked down the street to Centenary United Methodist Church to join the worship service. The Teramachi (street of churches) condominium stands on the corner of San Pedro and Third Street. Going east on Third Street, across the street from Union Church, on the south side of the street is the Jodo Shu Buddhist Temple, then comes Higashi Hongangi Buddhist Temple, and, finally, on Third and Central is Centenary. Its pastor is Rev. Mark Nakagawa, who is well known in Little Tokyo for his leadership in the community. The theme of the service had to do with Jesus’ baptism by John the Baptist. Rev. Mark had a few people in front reading liturgy, which highlighted the significance of water, physically as well as spiritually. He poured water out of a pitcher after each portion of the reading. After this reading, the congregation came forward to dip their hands in the water he had poured, signifying the renewal of their baptisms. At the end of the service I stood and made the announcement of the Korematsu meeting to be held at the end of the month. I don’t know what Fred Korematsu’s faith was, or even if he had a faith, but I believe we can all do well by considering this portion of the Christian faith having to do with resisting oppression. The Korematsu Day program will be held at McKinley School Auditorium, 325 Oak St., Pasadena. For more info, visit woweventproductions.com or contact Wendy Anderson at (626) 683 8243.